We are happily in the last stretch of winter. Our skin has faced heating but also environmental stresses. It is drier. More vulnerable So we turned to the exceptional properties of shea butter.Shea butter is almost too good to be true! It is one of the purest, creamiest moisturizers on the planet, so your skin and lips will feel incredible. KARIDERM is the only line of products made with organic Shea Butter certified by ECOCERT CANADA. The 100% Kariderm pure shea butter can be used directly on the face and body as an intensive treatment to soothe very dry or irritated skin, for an enhanced protection in colder times, or as a night repair cream. Quickly absorbed by the skin, it is also used as an intensive moisturizer or as a soothing care. Star product within the KARIDERM line, this Moisturizing Protective Cream with shea butter, replenishes moisture to deeply condition the skin for the entire day. Easily absorbed thanks to its light texture, it rapidly softens, nourishes and protects the skin, allowing a natural and enhanced radiance. It goes right through the epidermis, leaving the sensation of a rehydrated, softened and silky skin. It's not just your face that has suffered from winter. The KARIDERM Body milk deeply nourishes the skin due to its high content in shea butter (10%) along with algae extracts, silk protein and essential oils that will stimulate, invigorate and protect the skin. Easily absorbed it will immediately soften and moisturize deeper layers of the skin, which makes it a perfect soothing after-shave or post-depilatory treatment. It is a must to maintain supple and ultra silky-smooth skin. 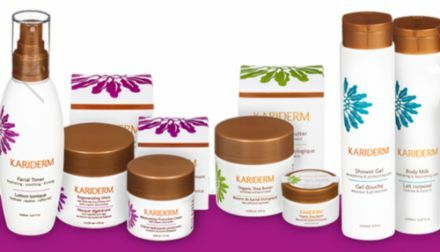 You will find also other facial care, hair care... make your choice on kariderm.com. Look for the stylized flower on the packaging. Each product line has its own color for a quick identification. 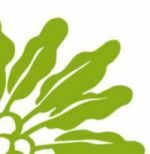 Since 2008, the Kariderm Social Funds finances specific actions on the field related to Burkina Faso women’s health. When you buy Kariderm product, you can make the difference and be part of the action. "I'm thirsty! Gimme shea butter beg your skin!"